It’s time to get back to our roots! The name of our restaurant actually originates from a city of the same name in the state of Baja California, Mexico. Mexico is comprised of 31 states, not including the Federal District. Of all the states, Baja California is the northernmost and westernmost. Within it lays Mexicali, one of the state’s northernmost cities that is just over two hours from the US’s San Diego, California. Early on, the land surrounding what is now the city of Mexicali was considered to be a flood-prone, untamable desert delta. However, in the 1820s, Mexican authorities opened roads to the area, which later became a common route for American fur trappers and for those looking to take part in the Gold Rush. In 1900, a canal was cut to link the dry basin to the Colorado River. In an effort to attract farmers to the area, developers named it the “Imperial Valley”. By 1903, five hundred farmers lived in the region, and by 1904, 100,000 acres of the valley were irrigated by the 10,000 people who had settled on the land to harvest vegetables, fruits, and cotton. While the city’s economy was historically based on agricultural products, today manufacturing in Mexicali has taken over as a leader in the economy. Currently, there are over 689,000 people living in the city. Citizens of Mexicali call themselves “Cachanillas”, which originated from a plant of the same name that the Mexican tribe of Cucapah used to build shacks. 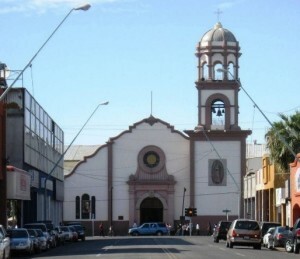 One of the most ethnically and culturally diverse cities in Mexico, the people of Mexicali originate from various Native American, East Asian, Middle Eastern, African, and European heritages. In addition to a diverse cultural heritage, the people of Mexicali enjoy a diverse variety of sports as well. Basketball, Soccer, Baseball, and American Football are all popular sports that are played within the city’s walls. Located at the junction of major interstates and federal highways, Mexicali has long been known for a very complex transportation system. In 2011, one of the city’s largest transit projects was unveiled. The project’s goal was to improve the complex roadways of the city, an investment that would cost 831 million pesos. The roadways aren’t the only parts of the city that have seen advancements in the last few years. In the last decade, the public transit system around the city has been vastly improved, making it easier for residents and tourists to get around town. With over 40 routes into the city, access to Mexicali has never been better. If you are interested in learning more about Mexican culture, be sure to check out our blog. Or, if you are interested in eating delicious Tex-Mex cuisine (you can learn more about Tex-Mex here! ), come to one of our Mexicali Fresh Mex Grill locations in Holden, Spencer, Webster and Ware, MA., or check out our locations in Stonington and South Windsor, CT!